Olivia is a final year medical student at Monash University. Originally from country Victoria, she has an interest in rural and remote medicine. Olivia has undertaken many rural placements in places such as Mildura, Bendigo, Woodend, Echuca, and Kununurra. Indigenous health education is an important part of the curriculum for medical students. However, there are limited opportunities within the course for students to interact with patients from an Indigenous background. Following an Indigenous health placement in a remote community in the Eastern Kimberley region, a final year medical student reflects on how her medical education did not prepare her for the overwhelming social issues impacting on the health of Indigenous Australians. This article explores how, in the author’s experience, the current medical curriculum offers limited opportunities for first-hand exposure to Indigenous health, with a large proportion of Indigenous health content delivered in a lecture format. This style of teaching does not allow students to discuss, explore, and understand the many complex social issues that contribute to the health of Indigenous Australians. This combination of suboptimal teaching style and little or no first-hand experience results in medical students that are not well prepared to deal with these issues as junior doctors. It is necessary to review the current teaching methods and consider implementing interactive workshops to improve Indigenous Health education, which will in turn improve the health of Indigenous Australians. This year, I spent my six-week elective rotation in Kununurra, a small town in the Eastern Kimberley region with a population of about 8,000 people . Kununurra is a remote town situated approximately 500 km, 800 km, 1,000 km and 3,000 km from Katherine, Darwin, Broome and Perth respectively, which are the nearest major centres. There is a relatively large Indigenous population, with 34.8% of residents identifying as either Aboriginal or Torres Strait Islander . The traditional owners of the Kununurra area are the Miriwoong Gajerrong peoples, and Kununurra is an anglicised version of Goonoonoorrang, the name of the Ord River that flows west of Kununurra. Colonisation has led to much disruption for this community, having serious impacts on health and wellbeing . My placement was with an Aboriginal Health Service, a GP clinic with visiting allied health and specialist services, so the vast majority of patients that I saw were Aboriginal. I was unprepared for what I observed in this placement in remote Western Australia, in particular the social and environmental determinants of health that contribute significantly to the health of Indigenous Australians. The variety of issues that I experienced in Kununurra brought into relief the difference between my understanding of Indigenous Health from the taught medical curriculum, and the reality in Kununurra. This essay explores this gap by illustrating with anecdote some of my personal experiences of social determinants of Indigenous health, with comment on how student understanding might be improved in the teaching of medical students. The examples relate to my experiences in Kununurra only; it is important to note that each community has its own unique issues and that what is pertinent in Kununurra may not accurately reflect Indigenous health in a broader sense. Prior to my brief placement in Kununurra, I had very little exposure to Indigenous health other than what I had learnt in the classroom. My lack of knowledge and experience became immediately apparent; I felt completely out of my depth with regard to the many complex medical and social issues that I was seeing, hearing, and learning about. One particular morning, as I left my house at quarter to eight, there was a man walking down the street with his young family; he had a bottle of wine in one hand and was pushing a stroller with the other. When I arrived at the clinic I jumped into the 4WD with one of the nurses and we drove to a community over 90 minutes away. This outreach clinic used to be serviced regularly by staff from Kununurra, but due to staff shortages it was months since the clinic had been open. In near 40-degree heat, bare-footed patients walked down the road to the clinic, which itself was covered in dirt, dust, and cobwebs, with overgrown weeds outside, broken windows, and blocked plumbing. Dead frogs were swept out from behind toilets and under desks. It was certainly not something I ever thought I would see in Australia, yet the patients were just grateful to have the clinic up and running again. We went to the school to see if any of the 11 students required immediate attention; as there was no doctor with us, anything less urgent would have to wait. While we were there, we provided dressings and antibiotics for a child with boils (a very common complaint) and removed a foreign body from a boy’s ear that thankfully turned out to be paper rather than a maggot. Over the course of my stay in Kununurra, I saw a heavily-pregnant woman who smoked 80 cigarettes a day with no intention of stopping, a lady with a total thyroidectomy who had stopped taking thyroxine, a man who refused treatment and further investigation for a cryptococcal infection because he “felt fine”, and patients in their forties on dialysis. I had patients tell me they share a three-bedroom house with 20 people and saw children who had not attended school for weeks, and who wandered the streets with their friends at night, completely unsupervised. I had a 17 year-old boy openly tell me that he smoked cigarettes and “gunja” (marijuana), but who vehemently denied drinking alcohol because “it only causes violence”; and for the first three weeks of my placement, there was at least one person every week who presented after an attempted hanging, the youngest of which was 12 years-old. This was also highlighted in a speech given by Dr Marion Scrymgour, the CEO of the Wurli Wurlinjang Health Service and Chair of the Aboriginal Medical Services Alliance NT . After six weeks in a remote Indigenous community, I was only just beginning to understand the complexity of a problem for which there is no simple solution. I began to reflect on why it had been so overwhelming; was there something missing from my education that could have better prepared me for this experience? To understand what is lacking, we must first identify what is included in the Indigenous health curriculum. In a packed medical course, my education skimmed the surface, with lectures on culture and history that included topics such as the Stolen Generation, traditional medicine, and the different family structure of Aboriginal communities. I learned that the burden of chronic disease is much higher in the Aboriginal population, and that this is the primary reason that the life expectancy is, on average, ten years less for Aboriginal people than the rest of the Australian population. While this is worthwhile knowledge, it is an inadequate summary that only superficially touches on Indigenous health issues because it does not allow us to delve into the much more important discussion of why these discrepancies exist and how they can be rectified. In 2004, the Committee of Deans of Australian Medical Schools (CDAMS) audited existing Indigenous health content and released the Indigenous Health Curriculum Framework, now called the Medical Deans Indigenous Health Project, which has become part of the accreditation requirements for all Australian medical schools . This framework is comprehensive and meticulously developed by people with a significant amount of experience in the field. It is important to acknowledge that Indigenous health teaching is not the same across all universities and has been constantly evolving since I started my degree five years ago. However, based on my own education, I still felt very under-prepared. There are numerous and varied reasons as to why current Indigenous health education is inadequate preparation for medical practice. Firstly, as outlined by the Indigenous Health Curriculum Framework, Indigenous people are a “non-homogenous population” with a “diversity of cultures, experiences, histories and geographical locations” . It is difficult to convey that the issues encountered by urban, rural, and remote Indigenous communities seeking health care can be so vastly different. For example, the education that I received gave me essential background knowledge and an understanding of Indigenous health issues in urban areas, but failed to convey the difference between this and the difficulties faced by Indigenous Australians in remote areas. Furthermore, even within a particular setting (for example, a remote setting), there is a large variation between communities, so that the issues seen in one remote community may not be the same as those seen in other nearby communities. Secondly, thorough assessment of even the most well-constructed learning objectives is difficult to achieve. Assessment, often in the form of assignments and examinations, determines if students are meeting the desired outcomes, and from this we can extrapolate about the quality of teaching. Without this data, we are unable to accurately identify the effectiveness of teaching strategies, and are therefore unable to make appropriate changes and improvements. Professor Richard Murray, a doctor with 14 years of clinical experience in Aboriginal health services in the Kimberley region, and the current Dean of James Cook University Medical School, illustrated this point beautifully when he said in a personal email addressing my enquiries about the Indigenous Health curriculum, “course or subject outcomes are too high level and abstract to satisfy” . Therefore, not only is the curriculum difficult to implement, it is also difficult to assess its effectiveness. One of the biggest challenges associated with Indigenous Health education is that many of the learning objectives and concepts are difficult to grasp in a classroom, especially with regard to the social determinants of health. One of the guiding principles of the Indigenous Health Curriculum Framework states that the health of Indigenous people is more associated with “historical and social determinants of health than with inherent Aboriginality” . My experiences demonstrate this as well; the previously-mentioned examples are all symptoms of many complex underlying issues affecting the health of people in these communities. Many of the cases I saw would not occur if it were not for the effects of low socioeconomic status and deficits in the other social determinants of health seen across the globe: inadequate access to health care and education, health literacy and compliance issues, alcohol and drug dependence, physical and sexual assault, mental health issues and suicide, poor living conditions, and overcrowding. For example, only 76% of Indigenous children aged 5-14 years in the Northern Territory have access to schooling, as compared to 95% of non-Indigenous children of the same age . Indigenous people are less likely to drink alcohol, but twice as many drink at levels considered to be risky or high-risk for long-term harm compared to their non-Indigenous counterparts. 15% of homes with Indigenous people are considered overcrowded, which increases up to 42% in very remote areas, as opposed to 4% of other households. Furthermore, some of these houses do not have reliable water and electricity, or adequate sewerage . Despite these appalling statistics, Indigenous Australians have the oldest, continuous living culture in the world, showing an incredible ability to adapt to change . As a student, it is very difficult to imagine the enormity of the impact that all these factors have on health. As an example, it is difficult to explain complex health issues and the importance of treatment to patients with little or no education and health literacy. It is even more challenging to treat and prevent the spread of communicable diseases. Consider the management of scabies or head lice which often require the entire household to be treated concomitantly; it is near impossible to achieve this in communities where overcrowding is rife. True understanding of this only comes from seeing it first-hand . However, providing every student with the opportunity to go to an Indigenous or remote community is not a financially viable option for most universities, and accommodating large numbers of health science students is not necessarily feasible (or wanted) in Indigenous communities. This is one of the largest obstacles to providing the educational opportunities required to meet the outcomes outlined in the curriculum framework. Without the ability to provide the correct learning environment, it is unreasonable to expect that graduates will have an in-depth understanding of the complex interplay between these particular social determinants and health outcomes. It is not the quality of the learning objectives and curriculum framework that limit Indigenous Health education, but rather the difficulties associated with the implementation and assessment of these objectives. The best teaching format, particularly with regard to the social determinants of health, is experience-based learning. While this is not feasible for every student, the lecture based format of Indigenous health education is suboptimal. The content is often too robust to really impart understanding of the complex health and social issues that many Indigenous people face. Other options must be considered and implemented; for example, workshops may allow educators to facilitate the discussion required to dissect more complex issues, such as why these disparities exist and how they may be overcome. Indigenous community members speaking to small groups of students about their life experiences, medical issues, and involvement with healthcare services would give students the opportunity to interact and ask questions, whilst fostering understanding and practising cultural sensitivity. Regardless of how the content is delivered, it is imperative that the social issues are emphasised within the curriculum, so that medical students graduate considering the patient in the context of their community and surroundings, because it is difficult to improve health without first improving the foundations. Students must learn that it is not enough to simply treat the presenting complaint; even our best medical efforts are not nearly as effective in promoting positive health outcomes as advocating to ensure the basic social needs (safety from violence, basic education, and adequate housing and nutrition) of our patients and communities are being met. Only when this is achieved will we see significant change in the health outcomes of Indigenous Australians. This is perhaps the biggest lesson omitted from the Indigenous health curriculum, and it is unlikely to be learnt in a classroom. I would like to acknowledge Professor Michelle Leech and Professor Richard Murray for their helpful advice during the information gathering stages. I would like to thank Associate Professor Karen Adams, who suggested resources and ensured the article was written in a culturally-sensitive manner. I would also like to acknowledge the Deans and their representatives of all the Australian medical schools who provided me with their Indigenous health objectives or other resources. Thanks also to Dr Alexandra Van Rijn, who provided advice during the drafting stages of this project. Australian Bureau of Statistics. National regional profile : Kununurra (Statistical Area Level 2) [Internet]. Abs.gov.au. 2016 [cited 2016 Mar 28]. Available from: http://www.abs.gov.au/AUSSTATS/abs@nrp.nsf/Previousproducts/508041208Population/ People12007-2011?opendocument&tabname=Summary&prodno=508041208&issue=2007-2011&num=&view=. Mills V. How Kununurra got its name – ABC Kimberley WA – Australian Broadcasting Corporation [Internet]. Abc.net.au. 2016 [cited 2016 Apr 23]. Available from: http://www.abc.net.au/local/audio/2011/02/10/3135392.htm. Scrymgour M. Marion Scrymgour: The NT Intervention disinformation campaign – from allegations of child sexual abuse to moral panic – The Northern Myth [Internet]. Blogs.crikey.com.au. 2016 [cited 2016 Apr 23]. Available from: http://blogs.crikey.com.au/northern/2014/10/09/marion-scrymgour-the-nt-intervention-disinformation-campaign-%E2%80%93-from-allegations-of-child-sexual-abuse-to-moral-panic/. Medical Deans Australian and New Zealand. Indigenous Health Curriculum Framework [Internet]. Medicaldeans.org.au. 2016 [cited 2016 Mar 28]. Available from: http://www.medicaldeans.org.au/projects-activities/indigenous-health/cdams-indigenous-health-curriculum-framework/. Phillips G. CDAMS Indigenous Health Curriculum Framework [Internet]. 1st ed. Melbourne: VicHealth Koori Health Research and Community Development Unit; 2004 [cited 2016 Mar 28]. Available from: http://www.medicaldeans.org.au/wp-content/uploads/CDAMS-Indigenous-Health-Curriculum-Framework.pdf. Murray R. Indigenous Health Project. 2016. Wakelin B. Many ways forward [Internet]. 1st ed. Canberra: The Parliament of the Commonwealth of Australia; 2004 [cited 2016 Mar 28]. Available from: https://www.aph.gov.au/binaries/house/committee/atsia/indigenouscommunities/report/report.pdf. Cultural Heritage – Australian Museum [Internet]. Australianmuseum.net.au. 2015 [cited 2016 Apr 23]. Available from: http://australianmuseum.net.au/indigenous-australia-cultural-heritage. Benson J, Ryder C, Gill M, Balabanski A. 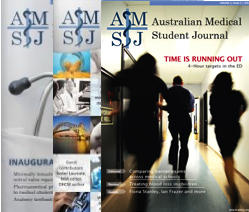 A brief experience for medical students in a remote Aboriginal community [Internet]. Racgp.org.au. 2015 [cited 2016 Mar 28]. Available from: http://www.racgp.org.au/afp/2015/october/a-brief-experience-for-medical-students-in-a-remote-aboriginal-community/. Forget everything you thought you knew: how your assumptions are impacting the health outcomes of your patients.